Saturday, March 7Callahan Theater, Nazareth College Arts Center, 4245 East Avenue8 p.m. | $50-$65 | 389-2170; artscenter.naz.eduA free pre-performance lecture will take place at 7 p.m. in the Peace Theater (room A14) of the Arts Center. 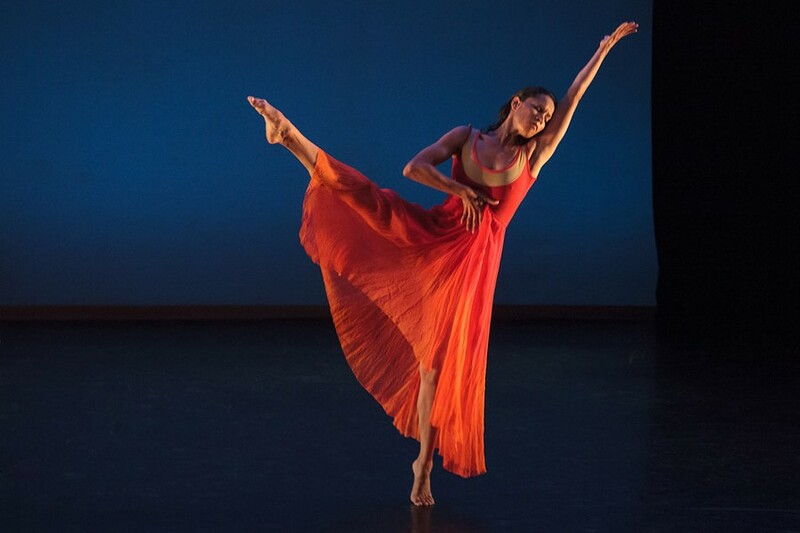 Jessica Lang Dance, distinguished by Lang's incorporation of striking visual elements into her pieces and her fusion of classical ballet vocabulary and contemporary dance, comes to Nazareth College Arts Center Saturday, March 7. The company debuted in the summer of 2012 at Jacob's Pillow Dance Festival, the stomping grounds of highly-regarded dance. Within two years, Lang was awarded a prestigious New York Dance and Performance Award (Bessie Award) for Best Emerging Choreographer. Lang had been choreographing for 13 years at that point, but the award was intended to emphasize her success at transitioning from independent choreographer to choreographer for her own company, she told City Newspaper in a phone interview from New York City last week. Lang's works are created within a framework of classical ballet language, but she doesn't confine herself to that sphere; her works are moving, contemporary pieces, capable of invoking strong emotional responses. And always visually impactful. "I use classical technique," Lang says. "There is a sense of form and formalism in how I approach choreography. And in how I use dancers' bodies. But there is a freedom within the form." Lang spoke at length about the degree to which the visual arts and architecture inspire her. Visual elements are at the forefront of her dances. "When I look at an object and see potential for movement I want to explore that," she says. "I feel like a visual artist whose medium is bodies. It helps the world come into focus for me." One of the pieces, "i.n.k." (2011), on the program for the performance at Nazareth is inspired by the work of Japanese visual artist Shinichi Maruyama. Lang was intrigued by the artist's print work and the movement inherent in his chosen subjects. "i.n.k." features images of liquids about to collide midair and movements that play off of the visuals. "They are sculptural actions; mysterious sculptural actions," Lang says. "Interaction with and reaction to what's happening on the screen are at the heart of this piece." 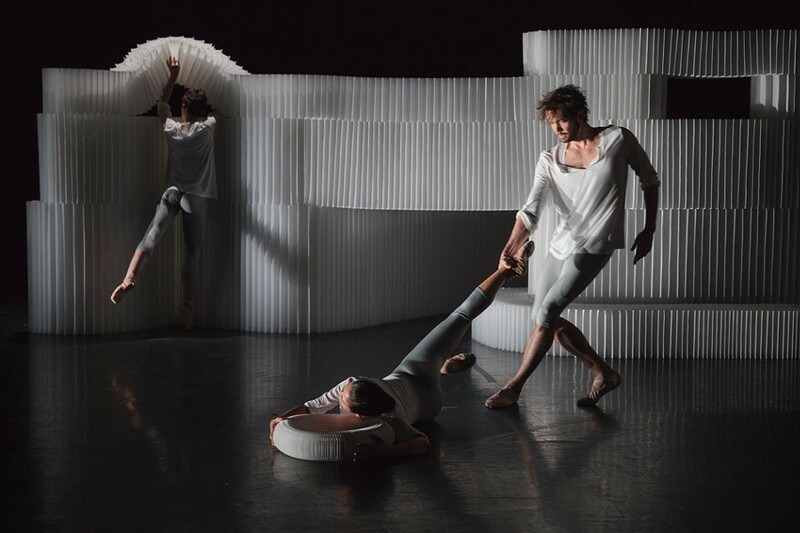 Five other diverse pieces complete the program: "Lines Cubed" (2012) is inspired by the art and palette of Piet Mondrian; "Aria (Excerpt)" (2010) features three company women — Julie Fiorenza, Sarah Haarmann, and Eve Jacobs — dancing to G.F. Handel's "Qual nave smarrita" (from "Radamisto"); "Among the Stars" (2010) is a duet on pointe — featuring Kirk Henning and Laura Mead — based on the folklore of Asia; "The Calling (excerpt from 'Splendid Isolation II')" (2006) is a short solo danced by Kana Kimura in a long, flowing white dress designed by Elena Comendador. The last piece is not a live performance, but rather, in another nod to the visual arts, filmed movement. In "White: A Dance on Film" (2011), Lang again collaborates with Shinichi Maruyama (here as the Director of Photography), this time playing with different timings and speeds. To create the piece, Lang choreographed a 12-second phrase of movement, had a dancer perform it as fast as possible, and then put it into slow motion. Meanwhile, the other dancers in the film are moving in real time. Lang was 14 when she realized that she wanted to pursue dance. She managed to arrange her high school class schedule so that all her classes were in the mornings, and in the afternoons, her mother shuttled her back and forth from Philadelphia to New York City to take Joe Lanteri's classes at Steps on Broadway. Under Lanteri's urgings, Lang went on to study dance at the Julliard School. Her instructors there included Bessie Schonberg, the namesake for The Bessie Awards. For two years, from 1997 to 1999, Lang danced in Twyla Tharp's company THARP. Then she turned to choreography. Lang has choreographed more than 80 works on companies worldwide including Birmingham Royal Ballet, The National Ballet of Japan, and Joffrey Ballet. But it wasn't enough for her. "You're never satisfied as an artist," she says. "You're constantly striving for more. You keep looking forward. Before I had my own company I was out of balance. Always the guest." A Joyce Theater Artist Residency gave Lang the time, money, and space to create her own company, which began with six dancers. That number has since grown to nine — five women and four men. Besides Jacob's Pillow, the company has already performed at the Kennedy Center Concert Hall, the Joyce Theater, and the Winspear Opera House in Dallas. "You find your own way, develop your own techniques," Lang says. "There's nothing new you're inventing, but you find your own process."